You can get the Social Security statements via Internet nowadays. These statements are available to the individuals who are at least 18 years old. You can get the Social Security statements via Internet nowadays. These statements are available to the individuals who are at least 18 years old. This implies that one can get statements of his unemployment benefits, disability benefits, retirement benefits, etc. from the Internet only. These statements are extremely important for almost all the citizens of the country. This is because people can determine the number of dollars they have contributed to Social Security and Medicare. Read along to know about the correct ways to use the much talked about online Social Security statements. 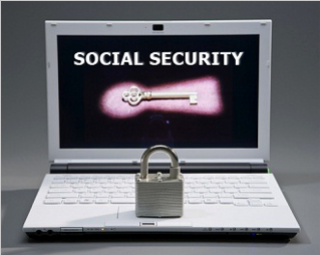 The Social Security Administration is giving a new online tool to the citizens of the country. From now onwards, workers can have an idea about their estimated benefits after retirement from the online statements. They don't have to wait for the paper statements (which were mailed by the Social Security Administration) anymore. This online tool is simple and easy to use. This online tool can be accessed from the website www.ssa.gov. The workers can use this tool after creating an account in the website. It is deemed as an important financial tool as one can calculate his retirement and disability benefits. The tool will help him/her to make retirement planning. On the other hand, this tool will be quite beneficial for the federal government also. The reason is, federal government will be able to save nearly $70,000 in a year. It is clearly evident from this step that the government is using technology to save money and environment, which is commendable. You can view your income history. You can calculate the taxes paid to Social Security and Medicare. You can make a comparison of the retirement benefits received at the age of 62, 66 and 70. You can compute your disability benefits. The amount your family members will receive after you leave the world. 1. Give the right answers: You can use this powerful financial tool after answering a series of personal questions. The questions will primarily be based upon the details that are there on your credit reports. You may have to reveal your previous home address, Social Security Number (SSN), assets, etc. The system has been developed to confirm your identity. 2. Opt for the security alerts: Online scams are rampant in the country. If you don't have any desire to be the latest victim of the online scam, then sign-up for the security alerts. You'll receive an email after creating an account in the official website of Social Security Administration. Do sign-up for the mobile alerts after getting an email. This way, you'll be intimated after anyone opens your account. 3. Verify your income details: Keep it in mind that your Social Security benefits will be calculated on the basis of 35-maximum-income years. Your annual income details will be there on the statements. So, go through the statements and find out if the income details have been recorded correctly. 4. Calculate your disability benefits: Life is capricious and erratic. You never know what is waiting for you at the very next moment. You can become a victim of an unfortunate event and lose your job. But have you thought what will happen to your family during those trying times? Do you know how much will you be receiving for the disability benefits? Use the online tool to calculate your disability benefits. Finally, take the print outs of the Social Security statements at least once a year. This way you'll have a hard copy of your earnings and other benefits. This will serve as a valid document for you. Don't wait for the paper statements anymore. The paper statements will only be sent to the people above 60 years, individuals who haven't opted for the benefits and the workers who can't access this new tool.